Century 3 / Quatrain 97. Old French. Auant que Phebés son siècle determine (4). Century 3 / Quatrain 97 . Possible English traslation. 2+ The Ottoman empire was dissolved in the aftermath of World War I, leading to the emergence of the new state of Turkey in the Ottoman Anatolian heartland, as well as the creation of modern Balkan and Middle Eastern states. The Young Turk Revolution (3 July 1908) with the sultan's announcement of the restoration of the 1876 constitution and the reconvening of the Ottoman parliament marked the beginning of the dissolution of the Ottoman Empire. "Before Phoebe (Moon) completes it cycle." H_01. THE BIRTH OF ISRAEL AND NOSTRADAMUS. Par Saturnins (6) endurera le pire. By those of Saturn (6) it will suffer the worst. Dieu éternel quelles mutations ! Gaule et Italie, quelles esmotions? Gaul and Italy, what emotions? Aries, Mars, War, Astrology: Middle East, England, France, Lithuania, Germany, Italy, Poland,Denmark, and Switzerland. Century 8 / Quatrain 96. Old French. Misere et triste lui trenchera les aisles. And then will be time of the Greeks, Italians and Romans to suffer. Grecs, qui seront é frapper curieux. Century 1 / quatrain 83. Possible English traslation. The alien people will see the spoils. Saturn (6) his dreadful look will be in Mars (13). Greeks will be beaten in a curious way. Lazio lies along the Tirrenian coast in Central Italy; it was heart of the Roman Empire, the Papal State and Italy. LAZIO The Italian word Lazio descends from the Latin word Latium. The name of the region also survives in the tribal designation of the ancient population of Latins, Latini in the Latin language spoken by them and passed on to the city-state of Ancient Rome. Although the demography of ancient Rome was multi-ethnic, including, for example, Etruscans and other Italics besides the Latini, the latter were the dominant constituent. In Roman mythology, the tribe of the Latini took their name from king Latinus. + As I have already explained before israel at war, looted by foreign troops, and these misfortunes will come to Italy and Greece into this mess will be stuck in an unexpected way. DISAPPEARING THE STATE OF ISRAEL. NO MORE. North Africa dominated by Muslims & Asia suffers a radical change. + Once upon a time a man named Theodor Herzl, considered the founder of the Zionist movement, in his 1896 book "Der Judenstaat", he envisioned the founding of a future independent Jewish state during the 20th century. Nostradamus did the same thing long time before..... from the beginning to the end of Israel. ....and The Balfour Declaration was a formal statement by the British government issued on November 2, 1917 in which the UK was in favor the creation of a Jewish national home in Palestine. And this is the origin of the state of Israel. This state will be sterile without any result despite all he can do it. Its destructor will be Iraq for revenge. Despite the alliance between Israel and the U.S., Muslims will destroy israel forever and they would take over Africa. At the same time Asia will change and I guess this does not be a good thing. Finnally, the fight against Israel will impact in Greece, France, Italy and especially in Rome. Will be conquered. + Zionism emerged in the late 19th century in central and eastern Europe as a national revival movement, and soon after this most leaders of the movement associated the main goal with creating the desired state in Palestine, then an area controlled by the Ottoman Empire. + During the First World War an Arab uprising and British campaign led by General Edmund Allenby, the British Empire's commander of the Egyptian Expeditionary Force, drove the Turks out of the Levant, a part of which was the Sinai and Palestine Campaign. The United Kingdom had agreed in the Hussein-McMahon Correspondence that it would honor Arab independence if they revolted against the Ottomans. The two sides had different interpretations of this agreement. In the event, the UK and France reneged on the deal and divided up the area under the Sykes-Picot Agreement, an act of betrayal in the opinion of the Arabs. Further confusing the issue was the Balfour Declaration promising support for a Jewish "national home" in Palestine. After the war ended, a military administration, named Occupied Enemy Territory Administration, was established in the captured territory of the former Ottoman Syria. The British sought legitimacy for their continued control of the region and this was achieved by obtaining a mandate from the League of Nations in June 1922. The formal objective of the League of Nations Mandate system was to administer parts of the defunct Ottoman Empire, which had been in control of the Middle East since the 16th century, "until such time as they are able to stand alone." The Sykes–Picot Agreement effectively divided the Arab provinces of the Ottoman Empire outside the Arabian peninsula into areas of future British and French control or influence officially during World War I. + Defeat and dissolution of the Ottoman Empire (1908–1922) after the Young Turk Revolution (3 July 1908) with the sultan's announcement of the restoration of the 1876 constitution and the reconvening of the Ottoman parliament.The chaos that was caused by the revolution paved the way for the loss of Bulgaria (5 October 1908) and loss of Bosnia (6 October 1908) in the same year. It marked the beginning of the dissolution of the Ottoman Empire. + The word for Friday in most Romance languages is derived from Latin dies Veneris or "day of Venus"
In Islam, Friday (from sundown Thursday to sundown Friday, simpler than midnight to midnight in a pre-clock age) corresponds to Sunday in Christianity and Saturday (Friday evening to Saturday evening) in Judaism and Sabbatarian Christianity, as a holy day. Friday observance includes attendance at a mosque for congregation prayer or Salat AlJumu'ah. As well as a day of rest it is considered a day of peace and mercy (see Jumu'ah). + The Romans named Saturday dies Saturni ("Saturn's Day") no later than the 2nd century for the planet Saturn, which controlled the first hour of that day, according to Vettius Valens. Century I - quatrain 50. Possible English traslation. By land and sea, to Oriens tempest. 1rst Thursday is the day of Jupiter (Roman Mythology). In most languages with Latin origins, the day is named after the god and planet Jupiter. Jupiter is depicted as the chief god of sky and thunder who maintained his power with his thunderbolt. 2nd. The day in which Americans give thanks to God is always on a Thursday: The day of thanksgiving. 3 Three oceans surround United States: the Pacific, Atlantic and Arctic. + And since the time of the thirteen colonies, the United States always have spread to the Orient: Indian Nations, Mexico, Hawai, Philipines, Japan, China, Corea, Vietnam .....and with the force of arms, increasingly powerful (Hiroshima & Nagasaki, for example). 8 SUN / SUNDAY = Christendom ,,,,, because the name "Sunday" comes from the Latin dies Dominicus ('day of the Lord'), due to the Christian celebration of the Resurrection of Jesus. In ancient Rome called this day dies solis ("day of the sun '). 9 ARIES = FROM SYRIA TO EGYPT or another MEDO-PERSIAN EMPIRE? Astrological link with: England, France, Lithuania, Germany, Italy, Poland.Denmark, Switzerland, Syria, Palestine, and Israel. + Aries is symbolized by the Ram. The ruling planet of Aries is Mars, which is the planet of war and aggression. Impulsive Aries might be tempted to ram their ideas down everyone's throats without even bothering to ask if they want to know. It's these times when you may wish Aries' symbol were a more subdued creature, more lamb than ram perhaps. Aries is linked with the Countries: England, France, Lithuania, Germany, Italy, Poland.Denmark, Switzerland, Syria, Palestine, and Israel. "3 I looked up, and there before me was a ram with two horns, standing beside the canal, and the horns were long. One of the horns was longer than the other but grew up later. 4 I watched the ram as it charged toward the west and the north and the south. No animal could stand against it, and none could rescue from its power. It did as it pleased and became great." Daniel received a vision of the demise of the Medo-Persian Empire, which had, in 539 B.C., overtaken the Babylonian Kingdom. God specifically names the Medo-Persian and Greek empires in Daniel 8:20-21 and 10:20–11:4. The first half of chapter 8 is a highly symbolic passage about a ram and a goat. The ram had two horns, one longer than the other, representing the empire of the Medes and the Persians (Daniel 8:20), and “none could rescue from his power. He did as he pleased and became great” (Daniel 8:4). + A synagogue, also spelled synagog, meaning "assembly"; בית כנסת beth knesset, meaning "house of assembly"; בית תפילה beth t'fila, meaning "house of prayer"; שול shul; אסנוגה esnoga; קהל kahal) is a Jewish house of prayer. + In April 2003, Saddam's whereabouts remained in question during the weeks following the fall of Baghdad and the conclusion of the major fighting of the war. Various sightings of Saddam were reported in the weeks following the war, but none was authenticated. At various times Saddam released audio tapes promoting popular resistance to his ousting. Saddam was placed at the top of the "U.S. list of most-wanted Iraqis". 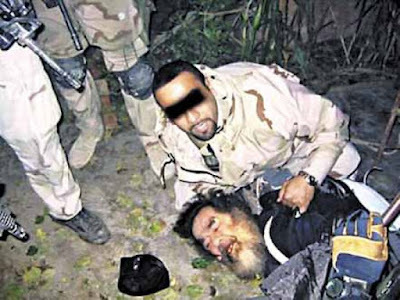 On 13 December 2003, Saddam Hussein was captured by American forces at a farmhouse in ad-Dawr near Tikrit in a hole in Operation Red Dawn. Following his capture on 13 December Saddam was transported to a U.S. base near Tikrit, and later taken to the American base near Baghdad. + In ancient Roman religion and myth, Mars (Latin: Mārs, Martis) was the god of war and also an agricultural guardian, a combination characteristic of early Rome. He was second in importance only to Jupiter and Neptune and he was the most prominent of the military gods in the religion of the Roman army. 04 U.S. & ISRAEL & NOSTRADAMUS. "A decade after American troops invaded Iraq as a response to al Qaeda's 9/11 attack - a decade that saw nearly 4,500 US deaths, tens of thousands of American casualties, 134,000 Iraqi civilian deaths, and cost the US taxpayer at least $1.7 trillion - the capital of that woebegone country is in danger of falling to Islamist berserkers who are more radical than al Qaeda." BBC NEWS 'Horrible choices' for US next move in Iraq"
Heaven will seem unjust on land, and sea and in the air. + Iraq has been known by the Greek toponym 'Mesopotamia' (Land between the rivers Tigris and Euphrates) and has been home to continuous successive civilizations since the 6th millennium BC. The region between the Tigris and Euphrates rivers is often referred to as the cradle of civilization and the birthplace of writing. At different periods in its history, Iraq was the center of the indigenous Akkadian, Sumerian, Assyrian, and Babylonian empires. It was also part of the Median, First Persian (Achaemenid), Hellenistic, Parthian, Sassanid, Roman, Rashidun, Umayyad, Abbasid, Mongol, Safavid, Afsharid, and Ottoman empires. Babylon (ܒܒܝܠ) (بابل) the capital of the ancient Mesopotamian country of Babylonia, was built along the Euphrates River. + The Babil Governorate in Iraq (named after Babylon) is sometimes transliterated as "Babel"
+ Tower of Babel in biblical literature, structure built in the land of Shinar (Babylonia) some time after the Deluge. The story of its construction, given in Genesis 11:1–9, appears to be an attempt to explain the existence of diverse human languages. 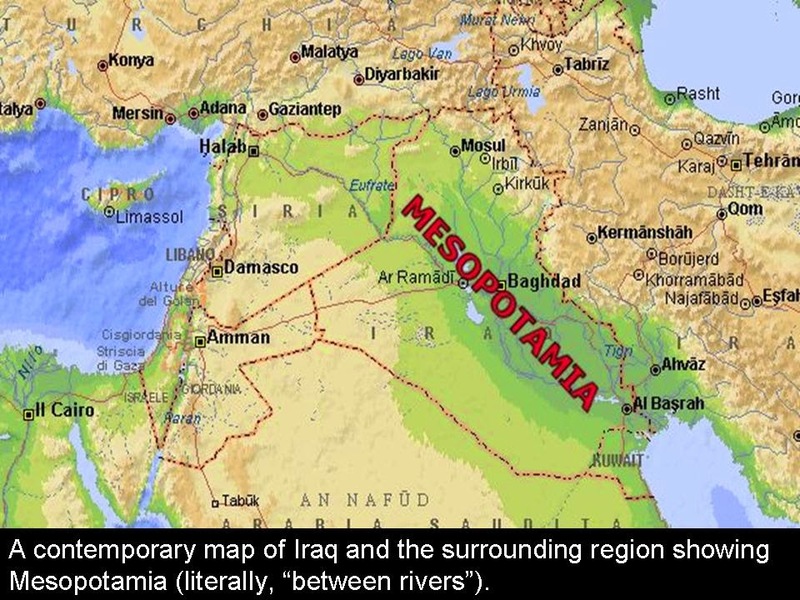 + The Fertile Crescent was a crescent shaped fertile area of land between Ancient Mesopotamia and Ancient Egypt. The crescent was in use in the ancient Greek colony of Byzantium. Subsequently, it became one of the symbols of the Byzantine Empire and especially of Constantinople. Indeed, during the Byzantine-Ottoman Wars, the crescent was used simultaneously by both the Byzantines and the Ottoman Sultans. Before Islam, the crescent was the symbol of Sassanids and after capturing Persian lands, the crescent has been adopted by Arab Muslims and later by other Muslims. In the 12th century the crescent and star were adopted by the Turks and since then the crescent has been a frequent symbol used by powerful Muslim empires such as the Ottomans and the Mughals. It is a historical symbol of the Turks, associated especially with the Ottoman Empire. The flag of Tunisia is one of the world’s oldest flags. Tunisia’s flag was adopted on July 3, 1959. THE FLAG OF TUNISIA has a description that is an exercise in symbolism and history. The flag itself is bright red. There is a white disc, or circle, that is in the middle of the flag. This disc holds both a crescent and a star. Red, the color of the flag, is a traditional color that symbolizes Islam. It also is symbolic of the resistance against the Turkish supremacy. Red was the color the Ottoman Empire used who ruled Tunisia from 16th century to 1881. The crescent is also red. It is indicative of the moon and circles the star. The crescent has other symbolic meanings. It is a traditional symbol of Islam as well as a sign of good luck. The crescent is called Osmanli, which is Turkish. 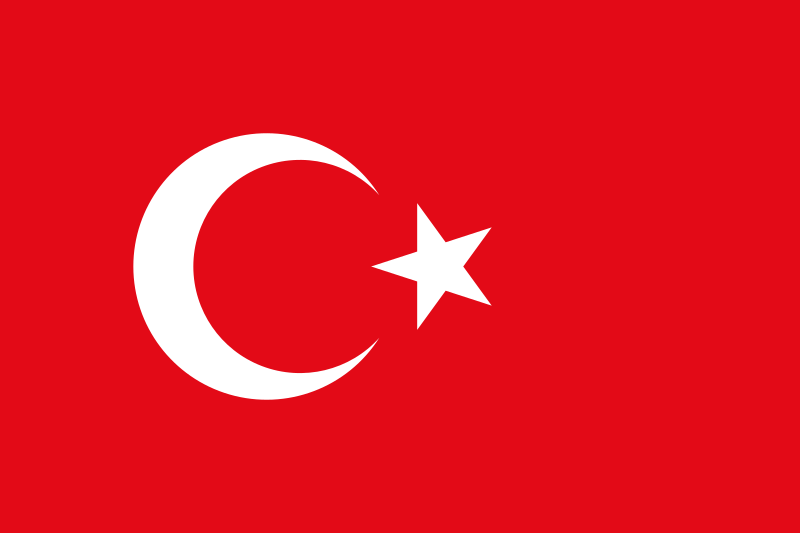 The crescent and the star also represent the connection between Tunisia and the Ottoman Empire, as does the color Red. The white that is used symbolizes peace. The five-pointed star symbolizes that all Muslims are united in their beliefs and are united with the Five Pillars of Islam. One – Testimony of Faith. This is the belief that none has the right to be worshiped but God. Two – Prayer. This represents the Muslim act of performing five prayers per day. Three – Giving Support of the Needy. This is the act of giving a certain percentage to the needy. Four – The fasting the month of Ramadan. This represents the month of Ramadan when Muslims fast from dawn until dusk. Five– The annual journey to Makkah. This is the annual pilgrimage to Makkah that is done in the twelfth month of the Islamic calendar. + Word of old Greek origin: It is from selene which means 'moon' ; selas 'light, shine' ; and Latin word caelum 'heaven'. The name is derived from Selene (Old Greek), itself of the element selene, or else it is from Caelina (Latin), of the element caelum. Selyn, Selyne, Sylin, and Sylyn are variant transcriptions of Selin. It was borne in Greek mythology by the goddess of the moon. Evolves from Selene in Greek. Meanings: 1. Gospel. 2. Asset, Glut. Means "fresh running water" in Turkish, ultimately from Turkish "sel" = "fast-flowing stream; torrent; flood". Century 8 - Quatrain 70. old french. Century 2 - Quatrain 30. old french. + WHEN ? UNEXPECTED AND AMAZING EVENTS IN ITALY & FRANCE. Century 7 - Quatrain 22. old french. The vicar at Rhône, city taken, those of Ausonia. Century 3 - Quatrain 61. old french. "Et sera faite nouuelle incursion par les maritimes plages, volant le saut Castulum (2) deliurer de la premiere reprinse Mahumetane.—Et ne seront de leurs assaillemens vains, & au lieu que iadis fut l'habitation d'Abraham (1), sera assaillie par personnes qui auront en veneration les Iouialistes. " "And a new incursion will be made by the maritime shores, wishing to deliver Spain (2) from the first Mahometan recapture. Their assaults will not all be in vain, and the place which was once the abode of Abraham (1) will be assaulted by persons who hold the Jovialists (3) in veneration"
"Castulum city of Spain very strong and very famous, and so attached to the Carthaginian Hannibal took them a woman, however, passed to the Romans". (Titus Livius wrote in his History of Rome). Today Cazlona in Jaen Province of Spain. This city controlled access to the Betis valley and silver and lead mines in the region. United States Of America because they give thanks to God on Thursday (the day of thanksgiving), the day of Jupiter (latin word "Jovis dies"). They are the men of Thursday. __Operation Desert Storm (17 January 1991 – 28 February 1991) was a war waged by coalition forces from 34 nations led by the United States against Iraq in response to Iraq's invasion and annexation of Kuwait. __Operation Iraqi Freedom was a invasion of Iraq starting on 20 March 2003 by an internacional invasion force led by the United States. ..... and the Arabs invade Spain again. NOTE Also Mesopotamia and Babylon are words that appear again in the Epistle but with a different meaning. Century 8 Quatrain 96. Old French. Century 10 Quatrain 86. Old French. + Also SELIN, CHIREN & CRESCENT are words related with Mesopotamia and the muslim World by Nostradamus. 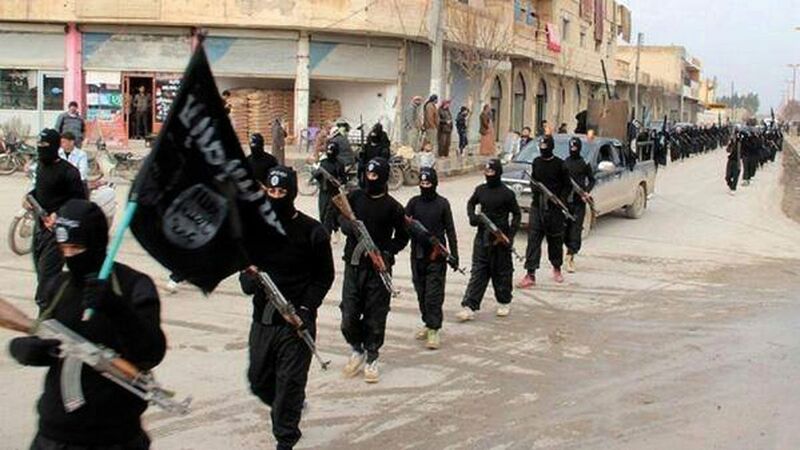 + Now have appeared black men, with black looks and black flag in Iraq. It is the last piece of the puzzle. Now the players must act according to a plan provided by Nostradamus. BOOK "Alleins, entre colline et Durance"